I am working my way through the videos of the discussions at the Moving Naturalism Forward Workshop (see At last – Moving Naturalism Forward videos). I really appreciate these philosophical and scientific discussions because they aren’t weighed down, or diverted, by theistic and supernaturalist philosophy. As Daniel Dennett said in the introductions, what he really like about the workshop was not only the people participating, but also that certain philosophers were not participating. Here’s the discussion on morality. I don’t think they covered everything they could have but what they did cover was interesting. It’s also a pity that Patricia Churchland had to withdraw from the Workshop – her contribution to this discussion would have been very helpful. I would have also like contribution from a good evolutionary psychologist. The next discussion on meaning was also very wide-ranging and often insightful. I liked Owen Flanagan‘s description of Aristotle’s approach. When asked how he could prepare a suitably complete obituary for someone who had just died he said that one could gather all the information available but it would still not be enough. To really pass judgement on a person’s life you have to wait to see how the grandchildren turn out. Controversy around Rebecca Watson’s recent talk on pop-psychology and media presentation of evolutionary psychology is probably having a least one positive side effect (see Sceptical arrogance and evolutionary psychology and Sceptical humility and peer review in science). There’s now more discussion on the Internet about evolutionary psychology and much of that discussion is sensible. I often find lately I am linking to Jerry Coyne’s website Why Evolution is True. I won’t apologise for that – he does have interesting articles – and I often find myself agreeing with his take on current issues. That’s certainly true with this new article – Is evolutionary psychology worthless? And it’s timely, because Jerry Coyne has sometimes been used as a witness for the prosecution in the current debate. So it’s good to be reminded that, as is often the case, his positions are far more nuanced. Jerry’s article is not specifically targeting Rebecca’s talk (he had not watched the video when he wrote it), but it is relevant, as a number of the commenters showed. Love that he used the same baby/bathwater metaphor I did in Sceptical arrogance and evolutionary psychology but more creatively, of course. Both the article, and the comments, are worth reading in this case. And here’s a related discussion also worth following. It’s a Blogging Heads programme with a discussion between Paul Bloom and Steven Pinker. These both can be called evolutionary psychologists and there work is hard pop-psychology. Although, Pinker’s books particularly are quite popular. There’ some interesting details in the discussion which are very relevant to the current controversy. I particularity take Pinker’s point that the science does not talk about evolution of behaviour – more the evolutionary origins of emotion and instinct underlying behaviour (discussion around 5 min, 30 sec). Something to look forward for those who enjoy Pinker’s writings – he is currently working on a book which he describes as a “style book” for those communicating science. Sounds like a must read for those of us blogging on science issues. PZ Myers has now contributed his first significant article in the current discussion (αEP: The fundamental failure of the evolutionary psychology premise). I have yet to digest it but it appears he is fundamentally agin the field. Here’s a lecture on evolutionary cooperation by PZ Myers. Ok, it’s pretty long, but it’s worth downloading and watching (or even listening as the video doesn’t catch most of the slides). Click on World Humanist Congress 2011 08/13/11 07:32AM. Cooperation as an important component of evolution is often ignored while competition is stressed. Creationists will purposely ignore cooperation. Yet cooperation and conflict are really two sides of the same coin. Myers illustrates his talk with examples of cooperation from nature and stresses the important evolutionary leaps made possible by cooperation. But he goes on to show that cooperation is also natural for humans. While Myers doesn’t deal in any detail with strategies for cooperation in modern human society and internationally it looks like some of the other presenters did. I will have to download more videos. This more direct linking to current research and some of the terminology used may provide difficulties for the lay person. However, most readers will find chapters which are closer to their interests. I found some chapters easier to follow than others – purely because of different levels of familiarity with the different fields. The book begins with an outline – The Human Brain in Brief – which is ideal for the newcomer to this field. It’s basically anatomical but provides a foundation for later chapters covering the separate aspects. I was intrigued to read how evidence for the evolutionary history of our brain is gained from diverse fields. Not just the fossil records, with all the problems it presents for soft tissues, but also molecular biology, feeding behaviour, aging and language. And the evidence is related. Allen says: “The expansion of neuroscience over the last twenty years really has seen the beginnings of the development of a truly holistic, synthetic approach to mental phenomena.” And this approach extends into related fields. For background to the scientific misconduct charges circulating around Marc D Hauser have a look at A paper by Marc Hauser retracted – Harvard Magazine, A sympathetic take on Marc Hauser and the “scientific misconduct” issue, Hauser misconduct investigation – Full text of Dean’s statement, Marc Hauser replies – acknowledges mistakes and The myth of the noble scientist. While Hauser’s acknowledgment confirms the eight misconduct charges mentioned by Harvard University’s Dean of the Faculty of Arts Sciences there is concern that the misconduct will taint the rest of Hauser’s work and publications. It’s probably understandable that full clarity must await the final conclusions of US federal investigative agencies but inevitably there will be speculation. Gerry Altmann, the editor of the journal Cognition, posted a statement on his blog saying that his own review of information provided to him by Harvard has convinced him that fabrication is the most plausible explanation for data in a 2002 Cognition paper. This is the paper that is being retracted. (Two other published papers are being corrected and the other five incidents did not result in publications or were corrected before publication). I have been watching some of the videos from the Edge seminar THE NEW SCIENCE OF MORALITY. There will eventually be about 10 hours of talks and discussions posted on the Edge site. From the few presentations I have seen so far this looks to have been a fascinating seminar. Partly because the science is relatively new – but also because there has been a lot of progress made. However, there are of course areas which promote intense discussion. I get the impression, for example, that several of the participants wish to challenge to dogma that one can’t determine an ought from an is. It’s going to be interesting to see that debate played out. 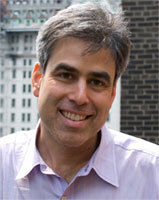 Haidt also discusses some fallacies about human reasoning. “The puzzle is, why are humans so amazingly bad at reasoning in some contexts, and so amazingly good in others?” Again he refers to a recent paper by Mercier and Sperber – Why do humans reason ? Arguments for an argumentative theory. This is an interesting paper discussing human problems like confirmation bias, the human problem of search for evidence to support an preconceived conclusion. Obviously both these problems are very relevant to a seminar like this. Go to the Edge site for a video of Jonothan’s presentation or download and audio file (MP3 Audio Download — Jonathan Haidt Talk). As Sam Harris was one of the participants the seminar will surely have also discussed his ideas on the role of science in determining right and wrong. He presented these ideas in two recent lectures and they resulted in a lot of discussion, and controversy, on a number of scientific blogs (see Can science answer moral questions? and http://www.youtube.com/watch?v=UrA-8rTxXf0). 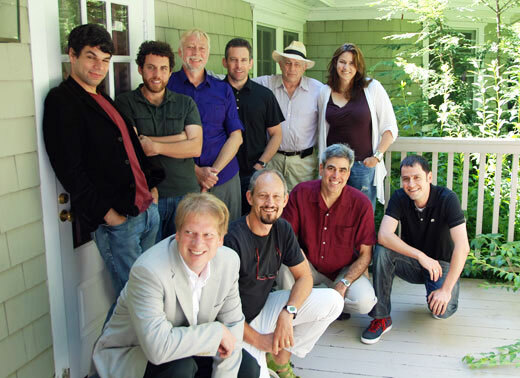 This last week saw the latest Edge Seminar – The New Science of Morality – held in the US. (see Edge: THE NEW SCIENCE OF MORALITY). This looks fascinating. Nine leading researchers in the field gave presentations. Short abstracts are on the Edge site together with videos of the presentations. Transcripts of the presentations will be on line soon. 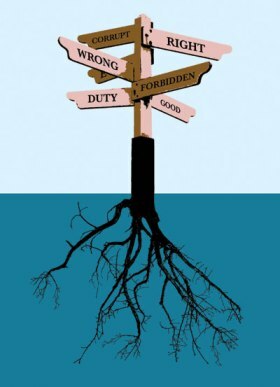 Morality is an area which religion has tried to ring fence, to claim a special role. But, as with anything else the “god did it” approach gets nowhere. Now the field is being actively researched and there is progress. The nine researchers who gave presentations were Roy Baumeister, Paul Bloom, Joshua D. Greene, Jonathan Haidt, Sam Harris, Marc D. Hauser, Joshua Knobe, Elizabeth Phelps, David Pizarro.